So You are a hair extensions junkie right??? I have been doing hair now for 12 years, I have that fine hair texture that just doesn’t look great past your shoulders and breaks off around my face. Can anyone relate? Perfect lets get started. I always wanted that “Pinterest” Victoria Secret Blonde. When I started doing hair I realized this can only be achieved with adding extra hair…so I dove into the world of every other long hair, high maintain seeking girl. 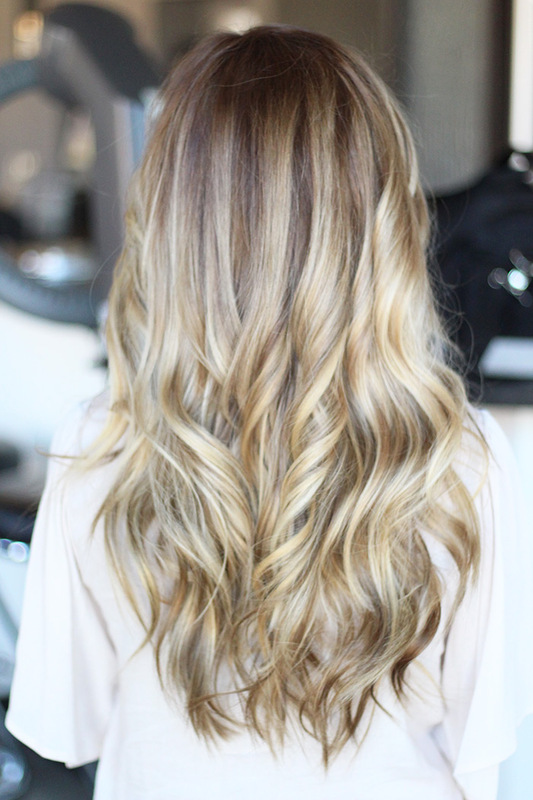 How can I get that amazing pinterest hair, with out compromising what little hair I already have? So I tried a little of every method I could find on my real hair to find out the pros and cons to each method. What came of all this was NBR. This is what I call all my years of trying to figure out the BEST for fine hair… and once you master fine hair you can do it all. I always tell people with hair, the color can only look as good as the canvas you are given. How could I make myself/clients color show up like this pinterst hair?? I can’t, therefor I have to add hair to my canvas. This is where Natural Beaded Rows was born. Creating a custom blended work of art on each canvas. I had the amazing opportunity to go train under DKW with the NBR. I don’t even know where to even begin because I have so much good to say about this training! First of all I would defiantly do the training in person! She is so amazing at what she does and it is so much easier to be in person with her and soaking in every single thing she has to offer truly you guys the lady is pure talent!!! Everything was so perfect her coloring the haircuts and of course the extensions! The day went way to fast she makes the learning so fun and is so sweet and so patient knowing that we were just learning answering every single question without making you feel silly for asking! The technique she has created is beyond fabulous!!! I had the opportunity to have a row put in my hair and oh my gosh….. In love! I mostly wanted to see for myself so I could tell my clients exactly what they are and what they do and they are amazing! This is a class well worth your time money and your future clients will thank you forever!!! Over the past few years I was becoming more and more discouraged with hair extensions. I felt like I had tried every method, and I was never truly satisfied with the end result. After training with Danielle, I feel like I have finally found a solution. With training, Natural Beaded Rows are faster to install and remove. I would highly recommend taking Danielle’s extension class. It was a relaxed but very informative class. Danielle is very hands on and will answer any questions you have. Thanks for providing NBR education Danielle. I recently attended a Natural Beaded Row (NBR) class with Danielle White. And I honestly have not been able to stop talking about it since I got home. I have been doing hair for 12 years and love it, but these past few years I have had a large amount of my clientel interested in extensions. 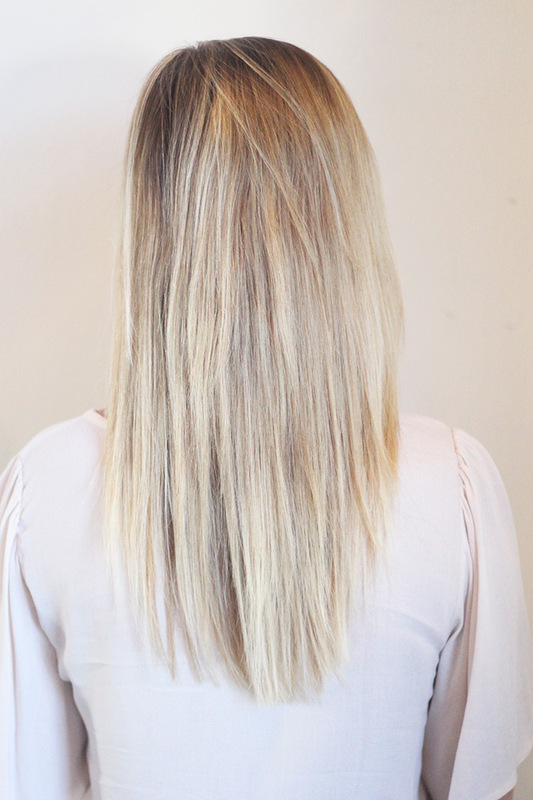 I am definitely a stylist who likes to keep my clients hair as healthy as possible, and the idea of delving into just any kind of extension made me very nervous. So when I came across NBR my curiosity and interest was peaked. The more that I saw her work the more I new this was the next step I needed to take to really help my clients achieve the look they want. 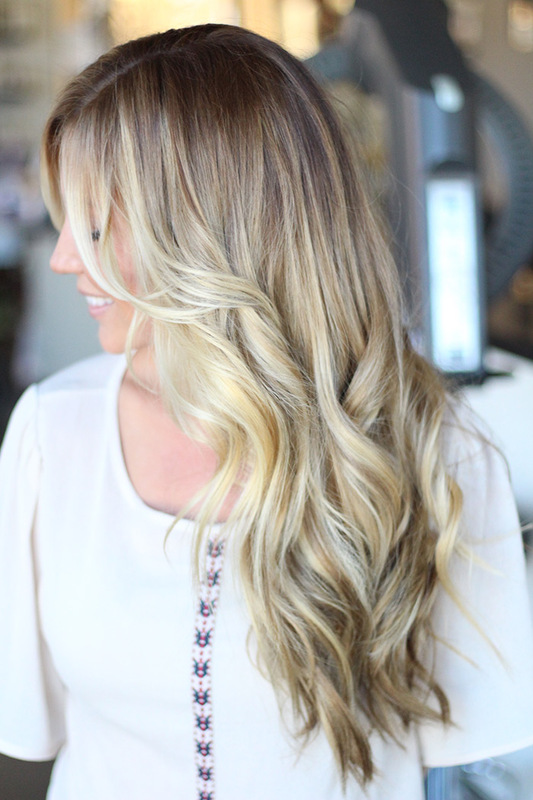 The day I spent with Danielle at her salon in Laguna was more than amazing. She worked on three different clients that day showing us the entire process from removing the extensions, coloring the hair, and then placing and sewing the extensions back in. She shared with us her coloring techniques and formulas, and tips on how to sew the wefts in nice and tight. Her work is meticulous and clean, and it was amazing to see it done in person. We also worked on our own mannequins. Danielle critiqued us and helped us see what we were doing right, and how we could improve. The entire day was an amazing experience. I have not been this inspired in years, and can not wait to share the NBR experience with my clients! !